woman who ever stood in front of a movie camera. got ten who picked the same woman. … and Maureen O’Hara for Technicolor. how much? Can it even be quantified? On the other hand, I have met Elle Macpherson; I interviewed her in 1994 when her supermodel career was at its peak. And you know what? 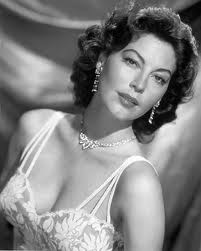 She was more gorgeous in person than she is in any photograph I’ve ever seen of her, and even more than she was in the movie (Sirens) that I was interviewing her for. I know it sounds like a bizarre thing to say about a woman who appeared on a record five Sports Illustrated swimsuit issue covers, but I was there and I saw it with my own eyes: no camera has ever captured the full beauty of Elle Macpherson. We’re used to thinking about all the things the camera adds — I mean besides the proverbial fifteen pounds. Garbo was famously ordinary off-camera, and she knew how much her mystique owed to cinematographer William H. Daniels; he shot 21 of her 25 Hollywood pictures, and the men who shot the others — Joseph Ruttenberg, Karl Freund and Oliver Marsh — were no slouches either. But the camera can take away, too. 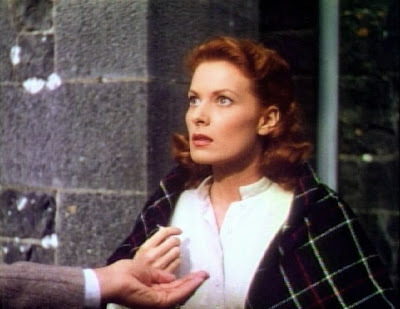 I saw it with Elle Macpherson, and it makes me wonder whether (incredible as it seems) Ava Gardner and Maureen O’Hara might have looked even more stunning in person than they do in that glamour shot above, or that frame from The Quiet Man. 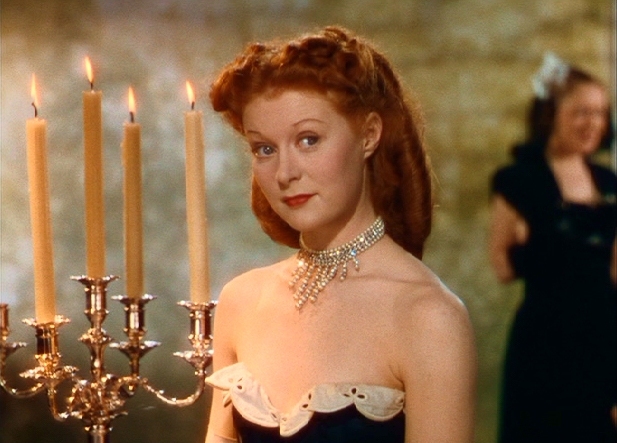 Moira Shearer as the doomed ballerina Victoria Page. 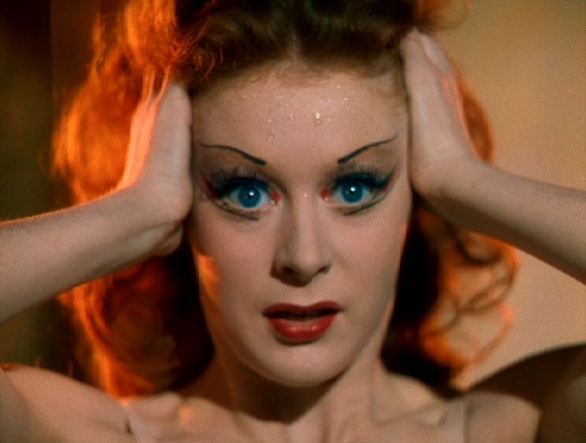 The painstaking restoration of The Red Shoes undertaken by the UCLA Film & Television Archive and the British Film Institute reportedly took two-and-a-half years, and it was worth every minute. 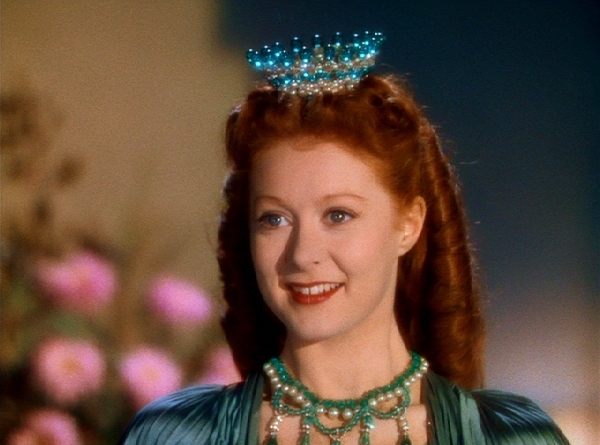 I read somewhere once that The Red Shoes was the Technicolor Corp.’s own official choice for the most beautiful Technicolor movie ever made. I don’t know if that’s true, but I believe it; I’ve never seen a print of Red Shoes that was less than gorgeous. Even so, I’ve never seen — scarecely imagined — it looking like this. The movie itself, I think, is one of the unique works of art, though to be honest, it’s one I admire without entirely enjoying; for sheer pleasure I prefer other Powell-Pressburger pictures like I Know Where I’m Going, A Matter of Life and Death or The Life and Death of Colonel Blimp. 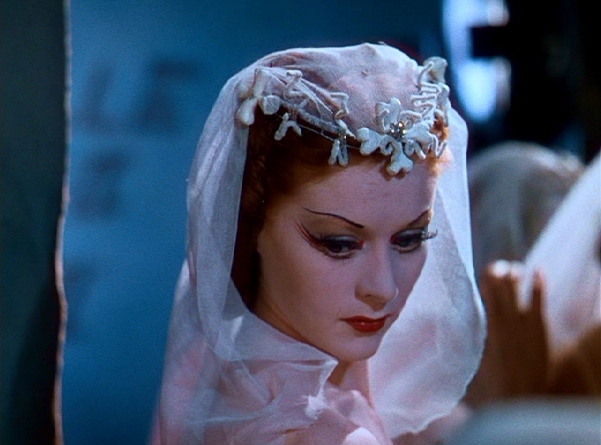 But as a sheer exercise in sumptuous pictorial splendor, The Red Shoes is without equal, and this new restoration leaves me wide-eyed and gasping at nearly every shot. …or beaded with sweat during a performance, Shearer always looks like seven billion bucks. What I’m driving at is that all this is the result of improved technology. When my uncle and I had our discussion of Ava Gardner vis a vis Maureen O’Hara, and when we were considering all the legendary screen beauties (Garbo, Dietrich, Grace Kelly, Hedy Lamarr, Louise Brooks, insert favorite name here), I don’t think either of us gave a thought to Moira Shearer. Is Moira Shearer — the Moira Shearer of 1948 — suddenly more beautiful than she was the last time he or I saw The Red Shoes? Robert Gitt of the UCLA Film & Television Archive suggests that The Red Shoes may look better now — clearer, sharper, richer — than it did even when it was new, simply because of the digital techniques that allow for a precision in processing the Technicolor matrices that goes beyond anything possible in the 1940s, ’50s, ’60s, or for decades even beyond that. The process of shooting The Red Shoes is over and done with; we can’t change what happened on the set, or how Jack Cardiff lit the actors and focused and moved the camera. But what happens from there, between the time the negative comes out of the camera and the moment the finished image is splashed across a screen for discerning eyes — that process remains malleable, and probably always will (any collector who has watched the color shift and fade on a 16mm Eastman print can easily grasp the concept). Shooting a movie is a finite process, but making the movie can go on and on for years, decades — in the case of The Red Shoes, even after nearly everyone involved in getting the picture into theaters in the first place is dead and gone. That’s why movie buffs before the age of video would travel miles to see yet another print of a picture they already knew by heart, and why they might buy 16mm prints over and over — then, when video came in, the VHS, the laserdisc, the DVD, the Collector’s Edition, the Blu-ray. It’s like Shakespeare scholars taking in an infinity of Hamlets; the experience is different every time, and this one just might prove definitive. So suddenly The Red Shoes looks more glorious than it ever did — which hardly seemed possible — and I have a new personal nominee for Most Beautiful Woman Who Ever Stood in Front of a Movie Camera. 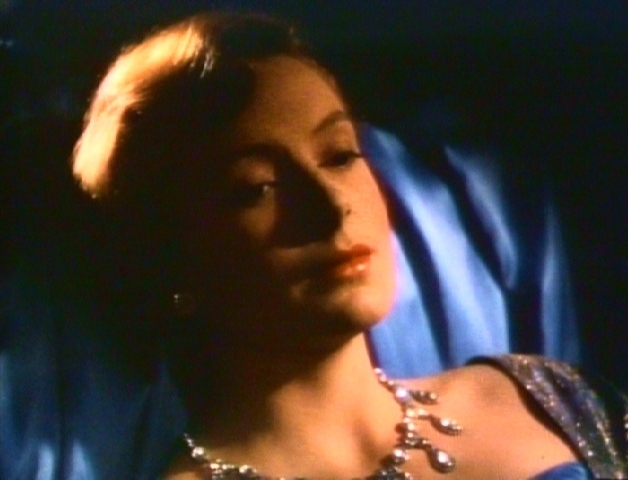 …the 21-year-old Deborah Kerr just might come out of nowhere to knock them all out of the running. I'm giddy! There's a reason that THE RED SHOES is famously given credit for inspiring an entire generation – and more – of girls wishing to become ballerinas (CHORUS LINE, anyone?). 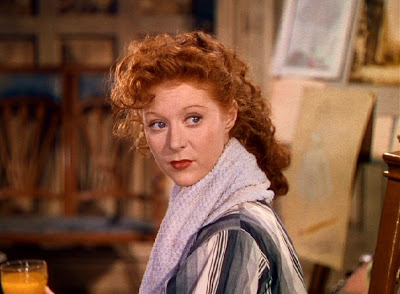 And the reason is Moira Shearer. 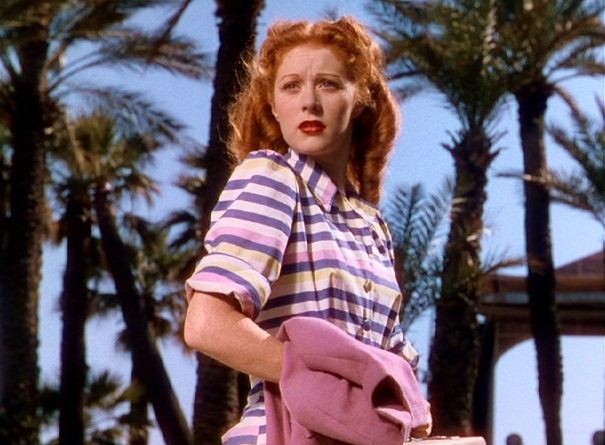 Thanks to my mother's devotion to films with and about dancing, I grew up wishing to be just like Moira. She seemed to be an otherworldly creature – beyond beautiful – in a class by herself. Check out THE STORY OF THREE LOVES. Also, of course, TALES OF HOFFMAN in which the eyes definitely have it! Yes…beautiful as the others may be, I'll cast my vote for Moira. Thanks, Jim.